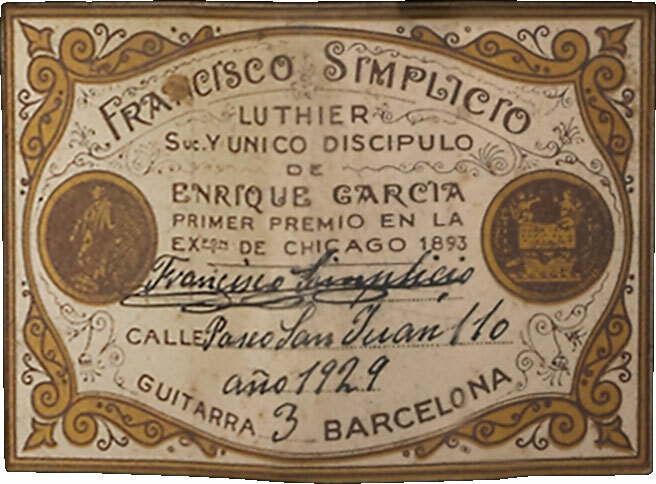 Trained as a cabinet maker, Francisco Simplicio (1874-1932) apprenticed in the Barcelona workshop of the great Enrique Garcia, who had spent time in the Manuel Ramirez workshop in Madrid before moving to Barcelona. 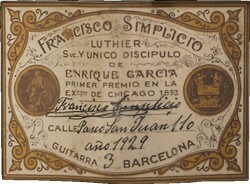 After Garcia’s death in 1922, Simplicio took over his master’s workshop. 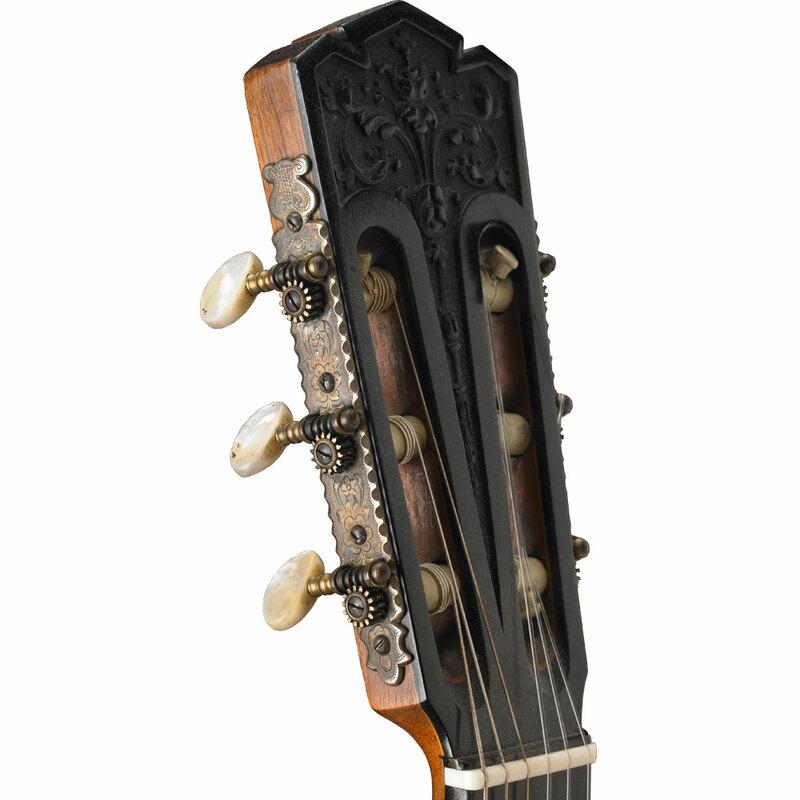 Simplicio’s craftsmanship was extraordinary and his elaborate purflings and carved headstocks are the visual proof of his gift (and Catalonian taste) for ornamentation. 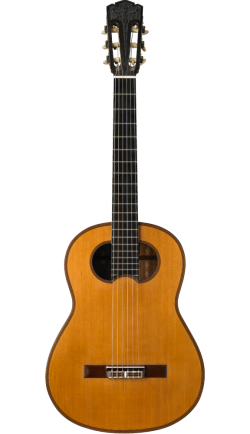 This particular Simplicio is No. 3 in a series of at least nine guitars in which Simplicio experimented with a divided sound hole. 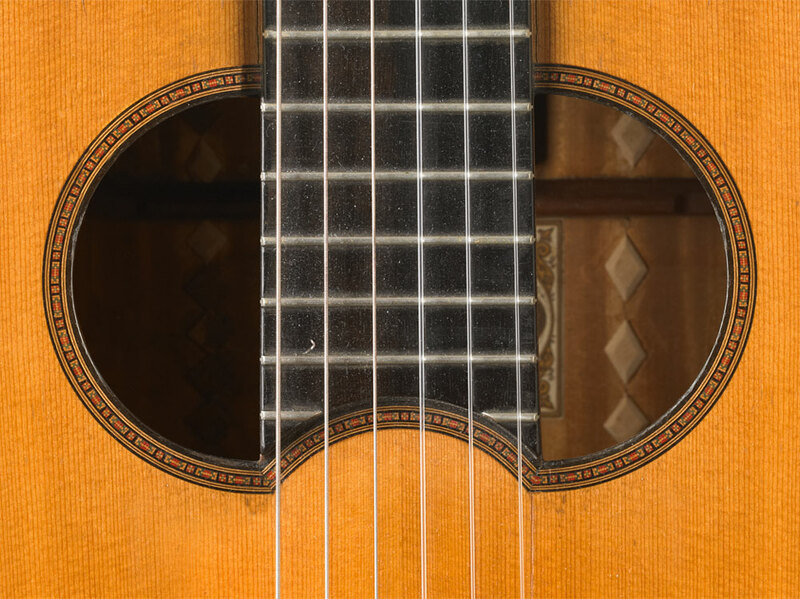 The theory was that dividing the sound hole on either side of the fret board would allow for an extended vibrating surface and longer fan braces, thus producing more base resonance. 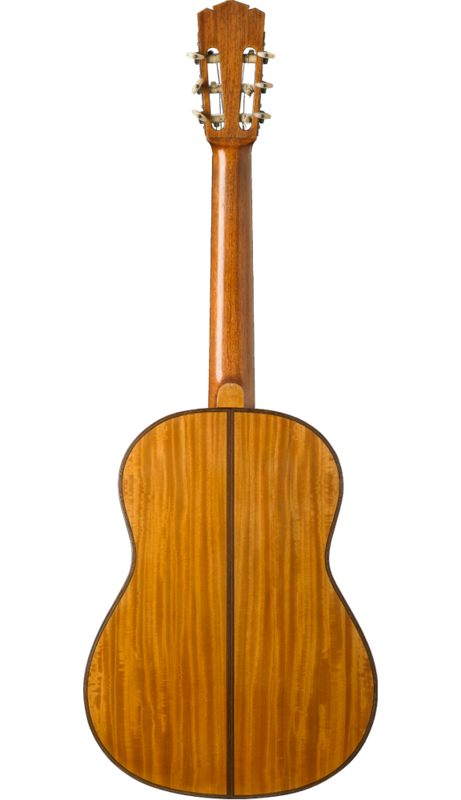 The sides and back of the guitar are made of a rare and visually exquisite wood highly prized but seldom used, Satinwood. 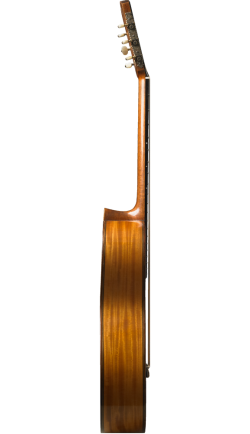 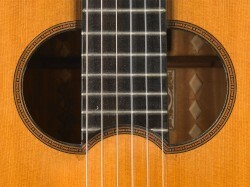 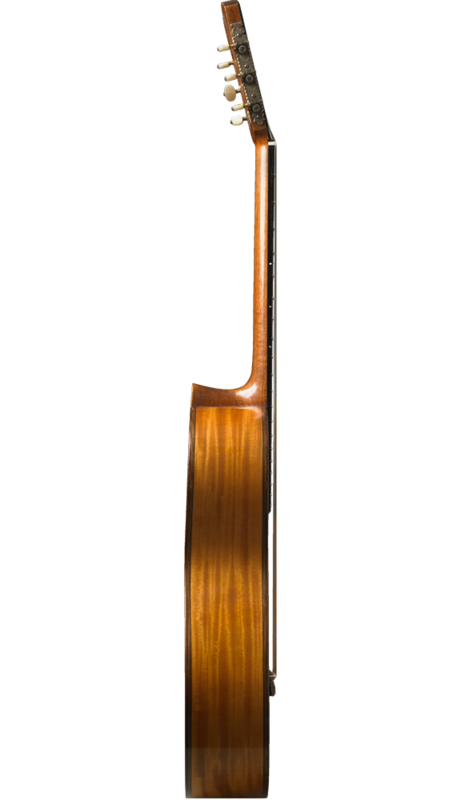 In his article on this guitar in Acoustic Guitar magazine, luthier Alan Perlman, who made some masterful repairs to the guitar in 2010, describes the instrument as “…a guitar of great depth, power and charm, with sonorous basses and exceptionally clear, lyrical trebles.” Simplicios are performed on today by such guitarists as Pavel Steidl and Matteo Mela of Solo Duo.